My client is a fast growing and leading Wealth Advice and investment management firm who have established themselves across the UK. They specialise in providing an advice service to HNW private individuals. 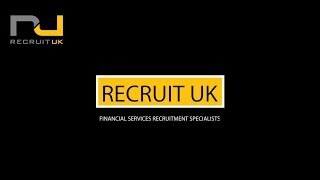 Their success has led to growth and they now have a superb opportunity for a diploma qualified, experienced paraplanner to join their team in Bristol. 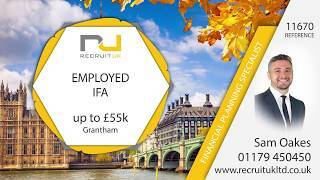 Within this role, the paraplanner will be responsible for providing efficient professional support to a team of Wealth Advisers working within a fee-based environment. More specifically, this role will focus on ensuring the preparation of advice for clients (both internal and external) is of the highest quality and delivered in an efficient manner whilst mitigating any risks to the business and assisting with the achievement of business targets. Preparing valuations, reports and renewal information, and maintaining up-to-date information on the company’s database are also important aspects of this role. To be considered by my client, I am looking for an individual who has predominantly been responsible for report writing and research ideally within pre-sale. You will be level 4 qualified with the determination to become chartered in the future. You will have previous or current experience from a fee-based environment as well as a track record in discretionary management, cash flow modeling and financial planning, analysis of existing investments and the ability to formulate advice with the Wealth Adviser. This role will be heavily templated report focused. The paraplanner role is based within a fast paced environment, so you must be able to work under pressure and have the audacity and drive to not be afraid to challenge as well as having the potential to develop others in the workplace. In return, you will receive the pleasure of working within a motivating and professional environment that houses a great team and an encouraging share culture. 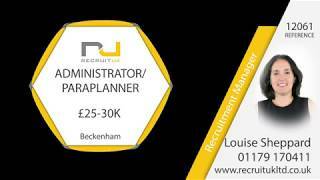 The salary is based on experience and will be up to £36k plus an extensive list of employee benefits. This is an excellent opportunity that will suit a current paraplanner who strives to develop their career within a reputable firm.